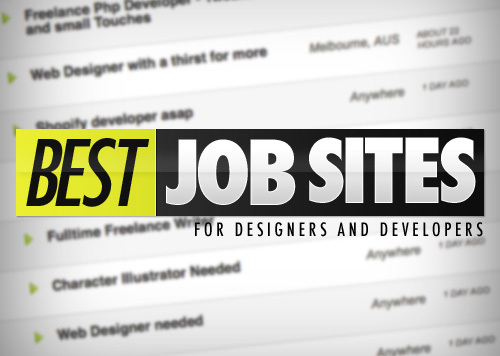 50 Freelance Job Sites For Designers & Programmers. Being a freelancer can be extremely advantageous and it is probably a dream for many designers and developers. Not only you get to choose the job you are really interested in, you also have total flexibility in terms of time, whom you want to work with and where you want to work at. Aside from being a very useful forum for webmaster, Digitalpoint is also an extremely strategic place where you can outsource work and seek relevant freelance professionals. A great thing about posting your job at this site is that the jobs listed here are soon featured among one of the top 20 blogs of the world. This is again a nice job portal to find programming and designing jobs, besides all others. A famous online portal for freelancers, this is an ultimate place to meet professionals with business, technical and marketing expertise to get work done at an affordable price. Since its inception in 2004, this online marketplace truly embarked a revolution in the way world works. It’s win-win approach for both service providers and employers with meaningful work as well as top-flight talent, makes it an asset for both parties. Average size of a job here is $5,000. Bag a project or post a project on this platform to get the best bids from gamut of skilled web designers, copywriters or freelance programmers. Provide work or get work at the best prices. Sign up today as a work provider or a work seeker. A word of caution – Stay alert before trusting anyone as there are a lot many fraudsters as well, on both sides.